Blur’s protracted farewell continues with the release of two new tracks. The band announced the release rather cryptically on Twitter, with a date, July 2, the track titles, The Puritan and Under The Westway and a snippet of the lyrics. Both tracks have already been played live. Damon Albarn and Graham Coxon performed Under The Westway at the Brit Awards War Child benefit show, and Albarn played an acoustic version of The Puritan at Queen Elizabeth Hall in London early in June. Blur play a tour of smaller venues in early August bulding up to the massive show in Hyde Park on August 12 coinciding with the closing ceremony of the Olympics. Further festival dates in Europe follow. Many fans are wondering whether they will be Blur’s last shows together. 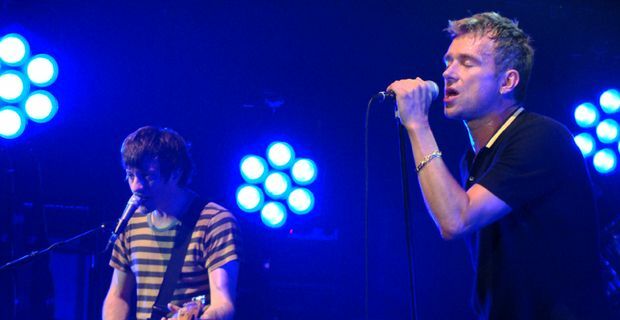 Damon Albarn has hinted as much, although the other members are unsure. Bassist Alex James has said how much he enjoys working with Blur, in between writing for The Sun and making cheese. Graham Coxon told Music News that they are still uncertain whether they will record new material after the release of these two tracks. "We're all in a good place, we're all getting on really well," he said. "And that's just great for now. It's something that we have to seriously consider and bear in mind our legacy. There is a pressure for us to do more, but we can't do it just because people want us to. We have to do it because it's right." Albarn calls time on Blur?